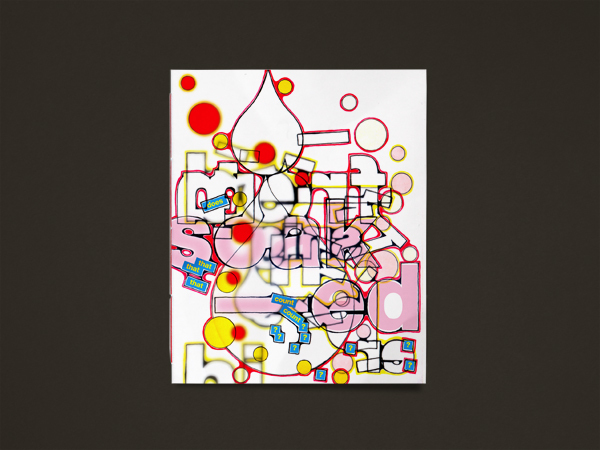 Snigger is an artists’ book that presents a typographic poem in the form of excerpts from a short story–a psychographic comedy about the border city of Carlisle and its charver techno boys, swedish imports and local rock stars. In 2010 GRRR’s artists’ book Snigger was selected by printROOM to be included in their presentation of artists' books at the AmsterdamZineJam (26 - 27 February 2010) held at Streetlab in the Netherlands. Curated by Karin de Jong, printROOM is a growing and travelling collection of artist publications, each edition takes place at a different location and creates an opportunity for artists that work in this field to showcase new material.